Leigh Wiener titled this image, “He’s Garrett. 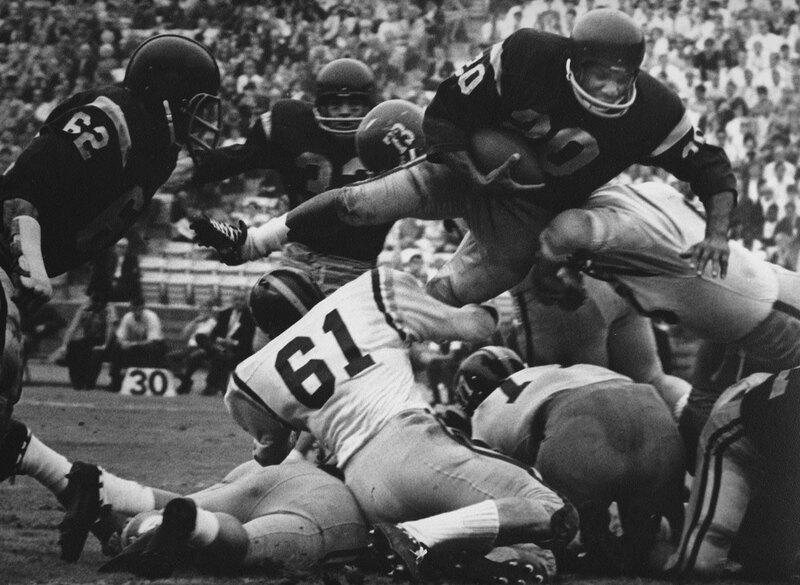 He’s Good.” USC Trojan halfback Mike Garrett photographed here at the USC vs Pitt game in 1965. Garrett would later win the Heisman Trophy.